"This book significantly advances our understanding of the failure to provide most Americans the legal services needed to vindicate important rights and provides an attractive blueprint for addressing this serious social problem." 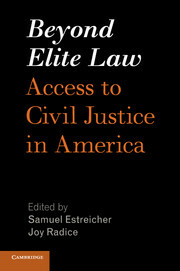 "The authors of this volume show powerfully how access to justice is essential. Justice for only those who can afford it is neither justice for all nor justice at all." 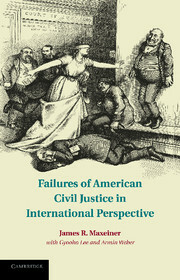 "This volume is a moving and remarkable tribute to the hopes for American justice, even as many chapters detail current failings. 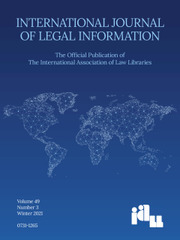 Beyond Elite Law documents when and why millions of individuals lack the resources to pursue their claims of right and their needs for representation. 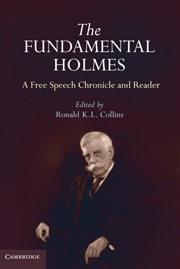 Yet, instead of leaving readers disheartened, the editors include a panoply of reforms, enabling debate about which routes create fair and publicly accountable responses." 1. 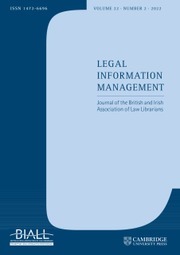 Access to civil justice in America: what do we know? 4. When does representation matter? 50. Public service residency program in lieu of the third year of law school. Samuel Estreicher is the Dwight D. Opperman Professor of Law at New York University School of Law, where he directs the Institute of Judicial Administration and the Center for Labor and Employment Law. He is the Chief Reporter of the Restatement of Employment Law and recipient of the Labor and Employment Research Association's Susan C. Eaton Award for Outstanding Scholar-Practitioner. 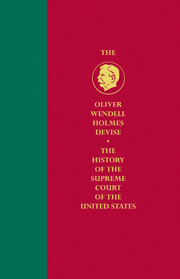 In addition to the law of the workplace, his areas of expertise include alternative dispute resolution, civil procedure, federal courts, and administrative law. Joy Radice is Associate Professor at the University of Tennessee College of Law. Her research focuses on the civil access to justice gap and the intersection between civil and criminal law affecting people with criminal records. She teaches advocacy clinic, criminal law, and poverty, race, gender, and the law, and directs a new expungement clinic. She also serves on the Knoxville Bar Association's Access to Justice Committee.